Can I get all the traffic from the analytics form instead of just the most recent? 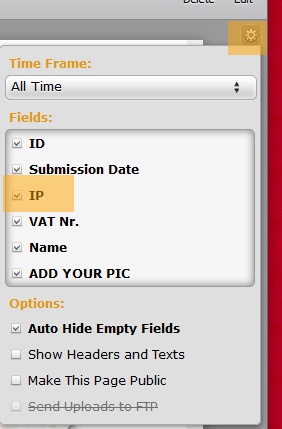 You can display form traffic from the beginning of the form's life by selecting All-time on top menu. That still does not give me all of the IP addresses for each response. Just the "recent" ones. Is there a report I can download to get them all?